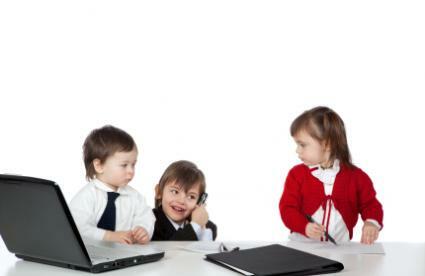 Blogs allow children to interact with the net on their level. Free kids blogging sites are not easy to find, particularly in the United States where websites that allow children under the age of 13 to register and interact must obey the FTC's "How to comply With the Children's Online Privacy Protection" Rule. While most parents can generally list the neighborhoods their children hang out in, and where their friends live, the Internet expands that geographic area where kids can have contact with other kids. The average teenager in 2009 has either a My Space or Facebook page (or both), Twitters regularly and uses their cell phones text messaging device with more confidence than their parents could program a VCR even twenty years before. The inherent danger of these social networking sites is well known to parents of teenagers and in general is not recommended for children under the age of 13. But elementary and junior high kids are getting more Internet savvy by the day, and blogging can be a wonderful educational tool for parents and teachers to employ. Teachers who want to use blogs in their classroom can modify the in-class journal from an offline activity to an online one. Because Internet safety is a key factor, kids' blogs are usually localized to internal networks with firewalls to protect their safety and identity. The average blogging site such as LiveJournal, Blogger and WordPress specifically state that users must be age 13 or older. If parents wish to use these as free kids blogging sites, then there are a few key lessons that they should teach their children. No blog entry should be posted without the parent reading through it first. No personal information, particularly a child's age, location and name other than the agreed on 'nickname,' should be used. All comments should be moderated through a parent's email account. Establish rules for blogging topics, including regular updates. Blogging is a great way to improve a child's writing and typing skills. Blogs can also be typed up in Microsoft Word and posted to the various blog sites (see the help files on this). Kids can experiment with their creativity by adding clip art, headlines and they can even turn their blog into news stories, reporting on their Sunday School activities, classroom field trips and even family interactions. They can write blogs as letters to distant family members or as a diary. Parents who let their children blog on MySpace can set the blog as available only to "friends." This would protect their child's privacy, and it would allow only family and friends who are friended to the account to read the blog. Kids Learn to Blog - A resource blog for parents and educators to help get kids started on blogging.